sparkling 6mm white rose cut Moissanite set on a 1mm satin band. 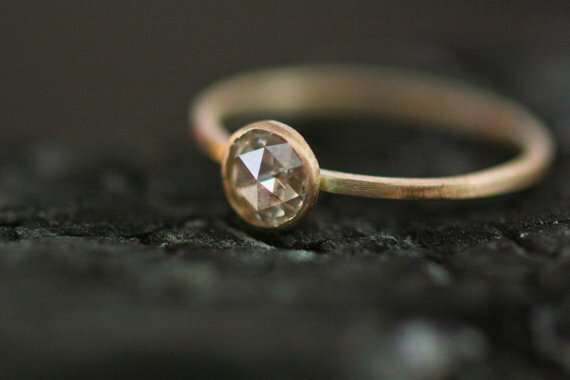 This ring is created from all ethical materials; the gold is recycled and the Moissanite is a wonderful diamond alternative that we are proud to offer as a non-mined option. Charles and Colvard created these lab created gems. They are extremely hard and have as much sparkle as a diamond. These photos are for reference only. Your piece will be very similar in character and finish, but unique, so there will be no others exactly like it. Please indicate sizes when checking out. Production time is up to 4 weeks for creation. Fully insured shipping with signature required for delivery. 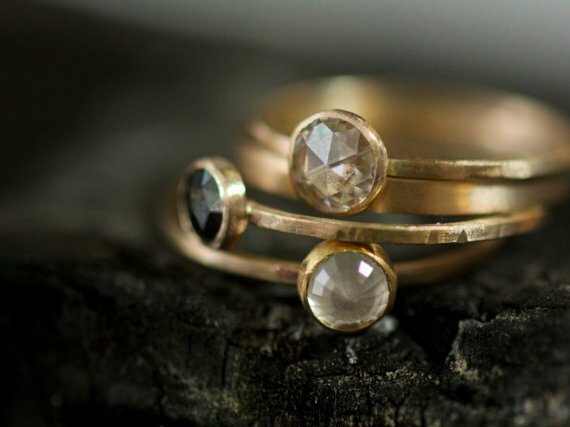 K Designs uses only ethically obtained materials and donates 5% of each sale to support ethical mining.